James founded Mountstone Partners and is responsible for managing client portfolios, chair of the asset allocation committee and has oversight of the portfolio construction process. Prior to founding Mountstone, James was an Investment Director at Brooks Macdonald, where he was one of 3 Investment Committee members responsible for the entire investment process. He was an Asset Allocation Committee member, head of the 5 London investment teams and was responsible for client relationships representing £239 million of client portfolios. James has been recognised as one of the "Top 40 Under 40" advisers in wealth management in the UK (as awarded by PAM). Charles joined Mountstone in April 2015, having previously spent 15 years at Brooks Macdonald. He is a member of the board, responsible for the day-to-day management of client portfolios and is a key contributor to the asset allocation and investment processes. Whilst at Brooks Macdonald, Charles headed up the discretionary teams in London, with personal responsibility for the management of over £150 million of private client portfolios. He was a member of the asset allocation committee and he also founded and chaired Brooks Macdonald’s charitable foundation. Charles has recently been shortlisted by Spears for the award of Asset Manager of the year for high net-worth individuals, having previously been recognised within the industry as one of the top 100 stars of wealth management (Citywire) and one of the Top 40 under 40 advisers in wealth management (PAM). Simon is a member of BMO Global Asset Management's Global Fixed Income and Multi-Asset teams, specialising in the management of sovereign bonds, local interest rates and FX, particularly in emerging markets. 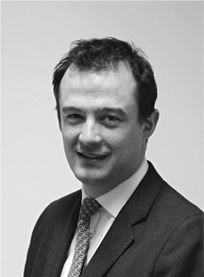 Having joined Thames River Capital in 2007, Simon transferred to F&C when the companies merged in 2010. Simon has many years of financial markets experience as a fund manager, trader, and product and risk manager in credit, FX, fixed income and equities, covering both cash and derivative products. He has worked at Salomon Smith Barney, Barclays Capital and Daiwa Europe Bank. He has also spent three years at McKinsey & Company and is a CFA Charter holder. Simon is a key contributor to the Asset Allocation Committee. He combines his expert analysis of the current global macroeconomic environment with a short term view of the markets using his many years of experience as a trader. Belinda joined Mountstone Partners in March 2014 as the head of administration and she is also responsible for managing the office day-to-day. With over 30 years’ experience working within the banking sector, predominantly in business operations, Belinda has an in-depth knowledge of payment processing and compliance regulatory requirements. She has also headed up a number of successful technical projects over the years, including implementation of training plans, process testing and drafting procedural documentation. Phil is a key strategic adviser and is responsible for introducing new clients to the firm. Prior to his involvement with Mountstone Phil served as the Head of Client Management at Kleinwort Benson, where he was the lead executive directly responsible for clients with aggregate assets under management exceeding £400 million, both onshore and offshore. Phil was also a board member of Kleinwort Benson Unit Trusts Ltd and responsible for the management and development of the front office staff including Private Portfolio Management, the CRM unit and the Financial Advisory Service. On leaving Kleinwort's Phil joined Rothschild as Client Director and most recently held the position of Investment Director at Duncan Lawrie. Alex is a key adviser to the business and was responsible for establishing the firm with James. A qualified accountant, prior to founding Mountstone, Alex served as Finance Director at Brooks Macdonald Services where he was responsible for helping to establish the custody function used by all clients and for the reporting of the company's accounts. Alex also served as CFO for DODAQ as well as working in several senior finance positions at FTSE 100 companies. Alex is also a business mentor for the Princes Trust, helping young entrepreneurs to start and develop their own business. Christopher is a key strategic adviser to the firm and, along with his other core business interests, he is responsible for establishing and maintaining intermediary relationships with accountants, solicitors and independent financial advisers for Mountstone Partners. An MBA from London Business School with over 16 years’ experience, including roles within Morgan Stanley Investment Management and Private Wealth Management, Christopher brings strong relationship, business development and financial markets experience to the team. Rebekah joined the team at Mountstone Partners in January 2013 as a consultant responsible for oversight of Human Resource compliance and best practice. Having previously operated at Main Board level across a variety of sectors from blue chip companies to national charities, Rebekah brings over 20 years of Human Resource experience at both a strategic and operational level. Rebekah is a Chartered Member of the Chartered Institute of Personnel and Development.